Visit our Alumni Facebook page! 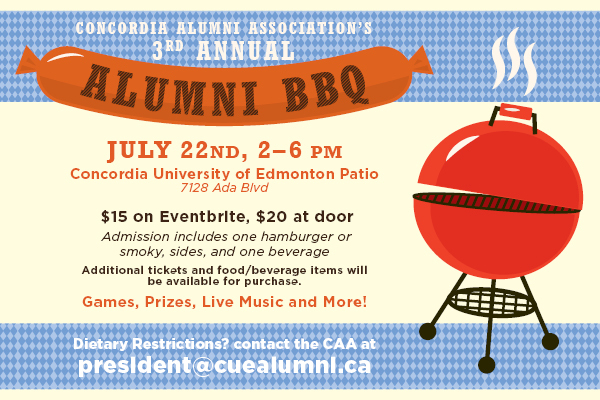 4th Annual Alumni BBQ – The Concordia Alumni Association is hosting their annual BBQ! 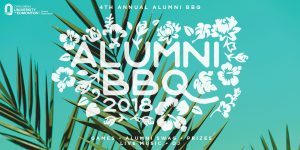 The 4th Annual Alumni BBQ will be Hawaiian theme, so expect to get a lei at the front door and to hula into the evening. Tickets are $10 and can be purchased online or at the door. They include your entry, one hotdog or hamburger, sides and a beverage. There will be prizes, games and alumni swag. And don’t forget your dancing shoes, because there will be a live band and a DJ to keep you grooving! Friends and family are also welcome to come! 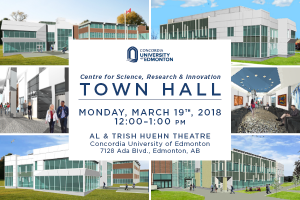 March 19, 2018: CSRI Town Hall – Learn the exciting details of what’s going to be housed in our new building, the Centre for Science, Research and Innovation. 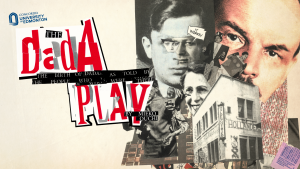 Come to our Pecha Kucha-style event on Monday, March 19, 2018 at 12:00noon in the Al & Trish Huehn Theatre on campus. 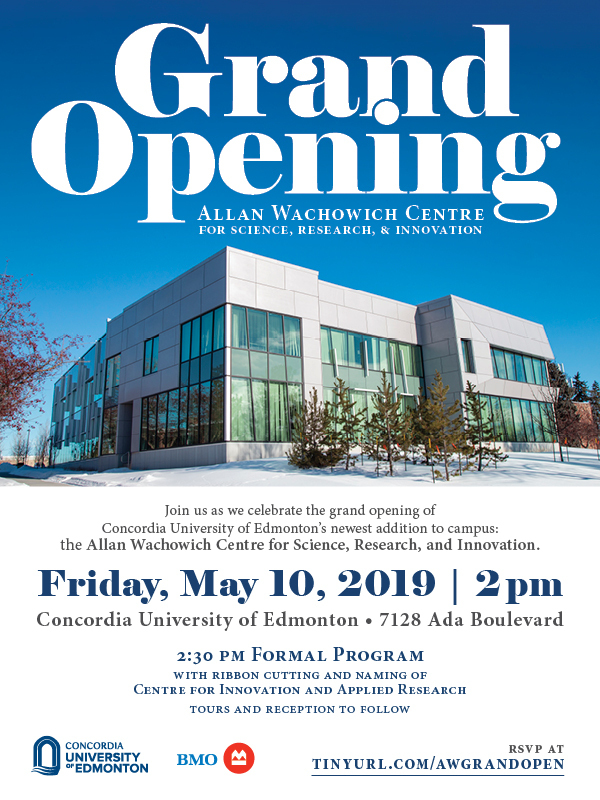 Celebrate the return of spring, visit our campus in full bloom and check out the progress of the new Centre for Science, Research and Innovation building. As a member of Concordia Alumni Association, the Executive Counsel invites you to the Annual General Meeting.